The C1 was amazing, but the C2 moved the Corvette far further. Its design stemmed from two racing cars as did lots of its engineering and it looked like nothing else on the road. Furthermore, it offered loads of comfort perks and very powerful engines ranging from 250 hp to 560 hp (officially 430 hp) that could be paired with an automatic, or three- or four-speed manual. Throughout its 5-year production span, the car was constantly upgraded in every respect, becoming a proper beast on the track, but still keeping much of its original flair and astonishing looks. Moreover, it was extremely popular, reaching the number of 117,964 units sold in just 5 years. To this day it remains one of the most iconic US cars and among the most beloved Corvette models. 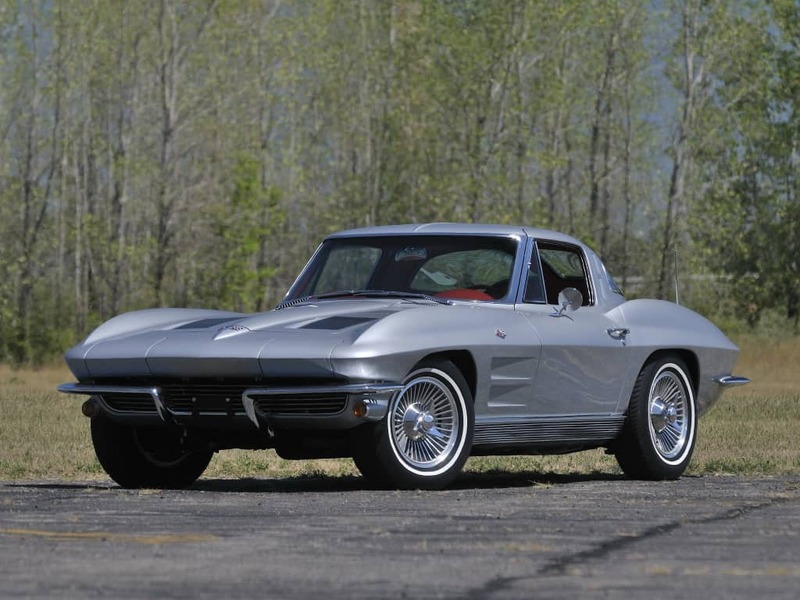 The Corvette Sting Ray production started in 1962 for the 1963 model and it was a major change compared to the C1. The styling was completely new, far more aggressive and it was based on two previous concepts – the Q-Corvette and, more prominently, the Corvette Stingray Racer Concept Car. The latter was a project funded privately, but the people on the project were high-profile GM employees and it was based on yet another non-completed racing project by Chevrolet, the Corvette SS. Without going into technical details, the most notable features were the new, highly modernized and still praised design, more powerful engines starting with the 4.6 l V8 with 315 hp and the weight of just 2,200 lbs, almost 1,000 lbs lighter than the previous road going model. Understandably, the road car was far heavier than the racing concept, but the general trend was here to stay. 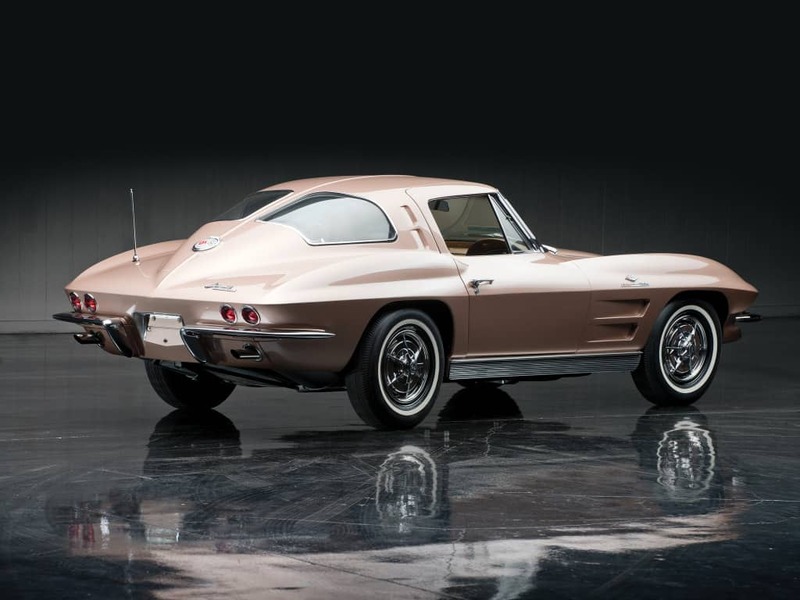 The production car that stemmed from these concepts came in 1963 in the form of the Chevrolet Corvette C2, also famous for its alternative name Sting Ray (later written as a one word – Stingray). Even though some previous concepts could suggest that the car would be mid- or even rear-engined with an option of a H6 engine, the Sting Ray had the familiar FR layout and a bulky V8. The car was better than the previous Corvette in every way. It was modernly designed (even though the C1 was damn beautiful), it packed far more power, immensely better suspension, more rigid structure in a lower weighing body and more space for luggage and passengers to go with better materials of the interior and other comfort perks. As usual for most American cars, every year of its production brought some changes. The 1963 model had the all new shape with hidden headlights and split rear window. Its design and engineering features also made the car handle far better and improved its comfort. Generally speaking, by 1963 sports cars were getting far more comfortable and suitable for everyday use, so the Sting Ray went in the same direction offering options such as leather upholstery, power brakes and steering AM-FM radio and air conditioning. The initial versions had 250 hp from 327 cid V8 engines with optional 300 hp, 340 hp and 360 hp versions. This was also the first time that a special performance package was offered under the name Z-06. These were suitable for races such as NASCAR and Le Mans, of course with some adaptations. In 1964 Chevrolet made mostly cosmetic changes. The faux air intakes were removed from the hood and the left air exhaust vent at the rear pillar became functional, as opposed to the previous model where it mostly served as decoration. Rocker panels were also changed. The most notable changes were suspension alterations that brought variable-rate front coil springs and changed thickness for the rear transverse leaf spring that improved comfort but kept the car firmly in its line. More suspension tweaks came in the form of new shock absorbers with Freon used to deal with heat issues. The two top-notch versions got some mechanical changes that improved the power rating to 365 hp and 375 hp respectively to go with the new four-speed gearbox. 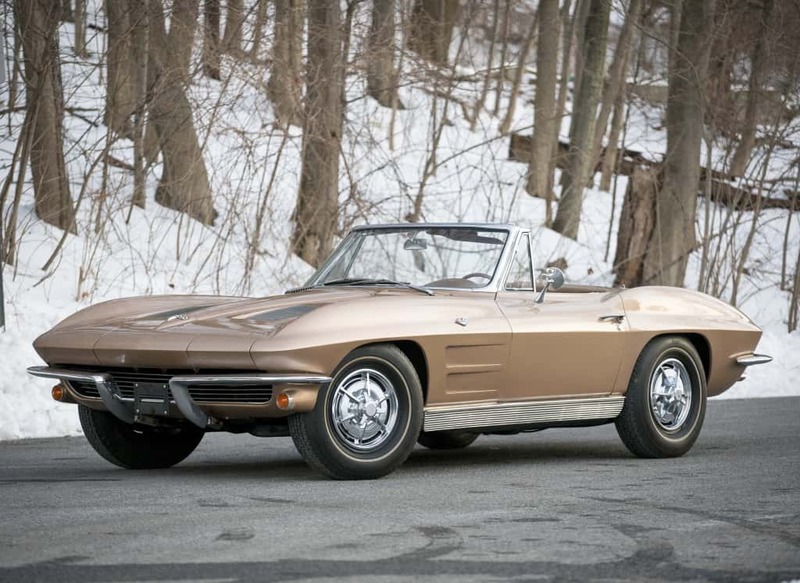 The 1963 Sting Ray was a miracle, and the 1964 one was a step further, with slight improvements in almost every direction which made it a lot better car overall. In 1965 the car got just slight design changes, but also a new big-block 6.5 l V8 with 425 hp, which had a carburetor and it brought an end to the fuel injected system used previously for the most powerful version, since the fuel injected one cost far more and offered 50 hp less than the new V8. Aside from this, the car also got another small-block version with 350 hp. Another huge change were disc brakes on all four wheels, making a huge difference for the stopping power. The big-block got a 390 hp version, along with the existing 425 hp one. A completely new thing was a 427 cu in (7 l) which packed 430 hp, not too much compared to the 425 hp of the smaller big-block, but it provided far more torque which made it far more interesting to drive. The small-blocks offered 300 and 350 hp. 1967 version was the best of them all, being a product of several previous facelifts. The new stuff included some minor styling tweaks, including a new placement of the handbrake that moved between the seats, as opposed to under the dashboard on the previous versions. Another novelty was a L88 engine which was the ultimate one in the lineup with loads of racing-derived parts and massive 560 hp (despite the 430 hp it was said to have due to regulations in the 1960s). It required high-octane fuel and came with limited-slip differential, power brakes, better suspension and more. It was a racing car that could be driven on the streets, but it was clearly dedicated to racing, being devoid of perks like radio and heater. The car came with loads of engineering advancements, such as new chassis, shorter wheelbase, better steering, modern suspension and more powerful engines. All of these aspects were altered and improved as its production progressed, so the initial drum brakes (with better cooling system which made them very good) were replaced by all-discs in 1966 and these were incredibly durable and highly efficient. All in all, even the initial Sting Ray was amazing to drive, with precise steering, amazing weight distribution, great brakes, straightforward gearboxes and lots of power under the hood and the later versions were only better. 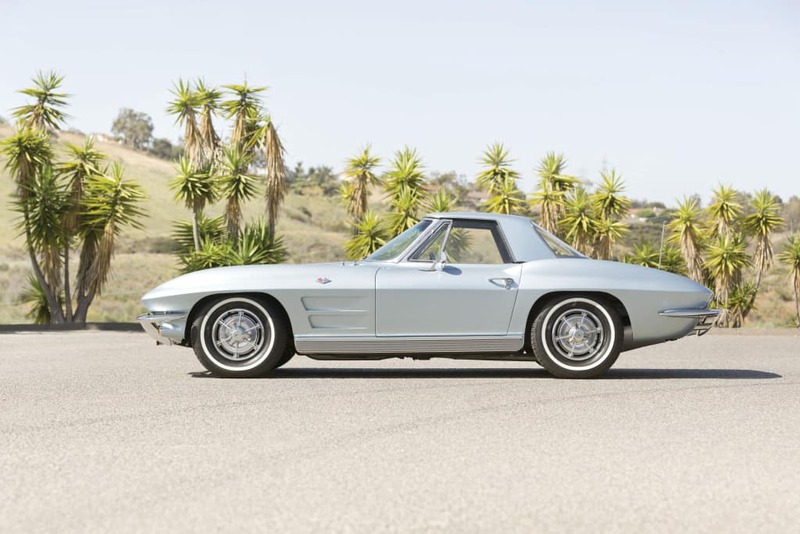 This makes it one of the most beloved versions of the Corvette even half a century later. The interior also improved over the years, but the general idea survived all evolutions. The interior was practical with lots of storage and luggage space, providing more comfort with great seats (that did lack some of the side support for sharper turns in some models), better heater, air conditioning and more. The dashboard had six gauges in front of the driver, while the central console hosted a radio and clock. In front of the passenger there was a large glove box. The car had modern suspension which was more comfortable, but also kept the car in tracks better than the previous one. All in all, the C2 Sting Ray was probably one of the best options if you wanted a perfect mix of style, racing credibility and comfort.